You have no excuse for being buried under paper these days. The tools to digitize most or all of your pile are readily at hand and very affordable. We’re not exactly a paperless society yet, but this guide will help you get to less paper, and that’s a step in several right directions: increased efficiency, better security, and a reduced environmental footprint. We’ve also added a few ways to eliminate paper from your workflow, the better to declutter your office—and your mind. Fujitsu’s ScanSnap SV600 can digitize just about any document. The simplest way to eliminate paper documents is to scan and archive them. Try one of SimpleScan Connect’s portable scanners, which offer single- or double-sided scanning capability. They also come with a free service to upload scanned documents to popular cloud services such as Box, Dropbox, and Google Drive, among others. If you’re dealing with formats more cumbersome than standard printouts, try a desktop scanner such as the Fujitsu ScanSnap SV600, which brings the line’s one-button scanning to bound and oversize documents. Signatures perpetuate paper. If you can’t eliminate the approval process, at least adopt electronic signatures. For internal paperwork, a system that relies on an electronic medium such as email to approve decisions or purchases should be adequate. 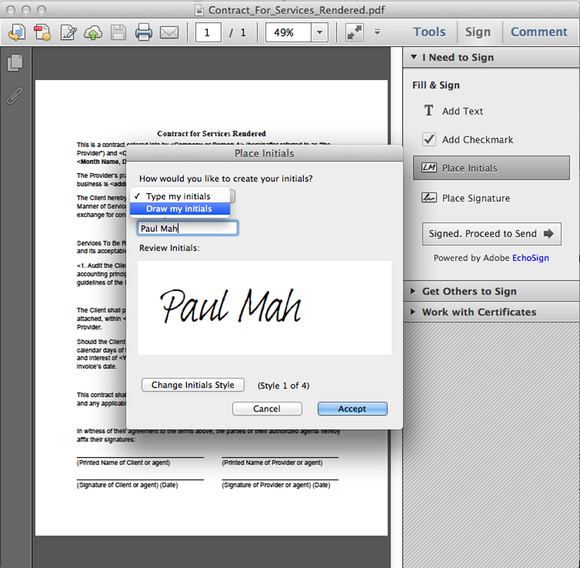 Adobe Reader lets you digitally sign documents with your finger on a touchpad. Honestly, with the range of note-taking apps available—from text-only options such as SimpleNotes to more sophisticated offerings such as EverNote and Microsoft OneNote—you have no excuse to use another Post-it. Touchscreen and stylus support even let you enrich notes with sketches and diagrams, and all notes are saved to the cloud. Although the Livescribe Sky Wi-Fi Pen isn’t cheap, it lets you write and save notes and audio recordings to your Evernote account via Wi-Fi, or you can plug in a Micro-USB cable and save your work to a PC or Mac. Livescribe requires special (and pricey) paper with tiny dots on the page that track your writing with precision. The pen even has an ecosystem of apps, including dictionaries. The unfortunate reality is that we all face situations where paper printouts are unavoidable, or we work with partners and clients who require them. When that’s the case, select duplex printing in your print settings to reduce the amount of paper you use. This wireless smart pen is ideal for Evernote aficionados. Livescribe Player is a bit clunky.